For those of you looking for some deep, insightful thinking, click "Next Blog" near your header tabs. This post is just some shallow musings about how the Internet has increased my patience, especially when it comes to waiting. 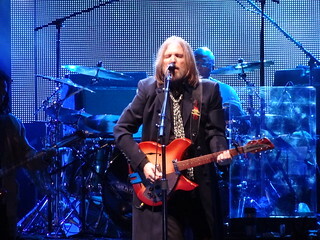 You may recall Tom Petty and The Heartbreakers singing "The Waiting" is the hardest part. While still a timeless classic, in this age of wi-fi and 4G networks, maybe the chorus no longer rings true. The story behind this "waiting game" reflection started at 10:00 this morning. 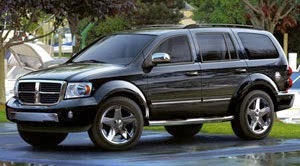 Groupon came through for me with a terrific, economical, detailing package for my SUV. As I mentioned, my appointment was for 10:00am, and the service on my Dodge Durango would take approximately three hours. TopLine Auto Enhancements has a small, four-seat waiting area, and I asked the attendant if I could stay and wait for the car to be finished. He gave me a doubting look that said, "Well, I suppose if you really want to." In my younger years, the prospects of sitting and waiting for anything for three hours seemed next to impossible. But this is a different time, and as long as I had access to a public restroom, which I did, then the wait would be no problem whatsoever. This is because I brought my iPad, bolstered with a cellular data package, stylus, and bluetooth keyboard case. Three hours of care-free browsing time, are you kidding me?!? I've got a ten-hour battery life, and nowhere to be - bring it on Baby! After settling into my chair, checking my surroundings, and breaking out my bonus size bag of Reese's Pieces, I checked to see if there was an open wi-fi signal. Nope. "No worries." I muttered, and I turned things over to my carrier's 4G signal. Ah yes, four bars! I pay an extra $10 per month for 2GB of cellular data. Is it worth it? Absolutely, I am connected to my stuff, my people, and my world, anytime, and anywhere! Whether I'm waiting at ORD, Dr. Foley's office, or waiting for my son's articulate cross-country coach to finish another one of his lengthy post-practice speeches, waiting no longer bothers me like it did previously. Maybe I am growing more patient as I get older. Although, after discussing this matter with a few of my friends, I believe it is because we can now use these idle, life episodes to read a book, chat with our Tweeps, watch a concert video, or do research to revise a blog post, which is what I did this morning in the cozy waiting area. These 24/7/365 connecting and learning opportunities are the true magic of mobile technologies. Even if I forget my iPad, (yea right) I just open Chrome on my iPhone and continue my browsing activities as if I hadn't a care in the world. My web history, apps, and bookmarks are all right where I left them on my iMac at home, and Google Drive supports my life in the cloud by letting me take all of my material, and files with me wherever I go. Missing a meeting because a freight train has stalled at my crossing? No problem, let's hangout and work on a shared document while the tracks get cleared. Flight delayed for two hours? Once again, I am laughing in the face of frustration because I can now stretch out comfortably with a Cinnabon, and finish the latest John Sandford book, "Storm Front" on my Kindle app. Ball game in a rain delay? "Woot, woot! ", more time to try reach a personal best playing "Peggle HD". Waiting a few hours to get my car detailed... It was like a mini-vacation, and the guys at TopLine Auto did a great job, right down to the new-car smell! Sure, road rage, bullying, and burnout are still an unfortunate reality in our society. But, maybe web connectedness is helping to make us a more intelligent, as well as, a more patient species. Is it too crazy to suggest that web connectedness could lead the way towards interdependence and world peace? Probably a stretch there, but personally speaking, I am no longer so impatient or time-driven because much of what I need to do, or want to do, can fit in my pocket, or be carried like a book. For me, and others, mobile technology supported by the Internet, has made the waiting more productive, and rather enjoyable. Is connectedness allowing you to become a more patient person?